Stealing Home Plate … is the ultimate challenge when talking swiping bases, and because it’s nearly impossible to do successfully, is why it may be attempted perhaps once or twice in an entire major league baseball season consisting of thousands of ball games. Let’s briefly qualify “Stealing of Home Plate.” We’re not talking a suicide or sacrifice bunt, or a muffed or passed ball, or a throw to second or behind the runner at first base, we’re talking a straight steal. Former baseball greats such as Ty Cobb or Honus Wagner stole home plate an incredible number of times, 50 + in their careers, but that was nearly 100 years ago, baseball has changed a lot since then. 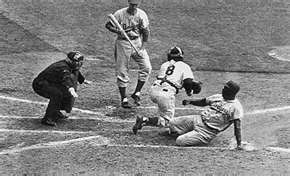 Now that I have tried my best to discourage you from attempting to steal home plate, and you’ve already made your mind up you’re going to attempt it anyway, let’s look at how it may be accomplished successfully. 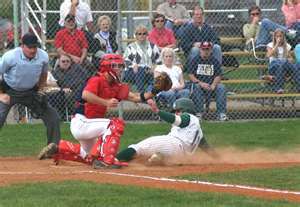 A straight steal in essence means you must beat the pitcher’s throw to the plate, touching home plate safely before the catcher can tag you out, and for that to have a chance of succeeding certain elements Must be present. The runner must not only be extremely fast of foot, but must have reflexes which can instantaneously react without hesitation. This combination realistically exists in 1 or 2 players on a 45 man team MLB roster, and rarely more than 1 player on a youth baseball team and more than likely … Zero because of the lack of maturity and experience. The pitcher must be Long to the Plate, which means his windup and delivery is slow to the plate, not how fast he throws the baseball, although that does enter the equation. Again, how long does the pitcher take from beginning his wind-up to letting go of the baseball. The Pitcher must prefer throwing from the full windup with a runner on third. 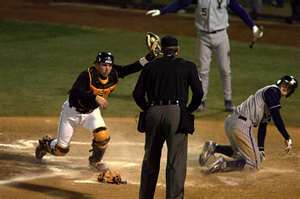 A pitcher working out of the stretch position, for the most part, eliminates any possibly of stealing home plate. (1.) Preparing to steal home plate, if the situation presents itself, begins in the dugout. The coach and the player will sit together examining and analyzing the pitcher’s movements. (d.) Are there any tell tale signs which could give away what pitch he’s going to throw …. Obviously it’s easier to steal on a curveball or change-up than a fastball. (e.) Don’t forget to observe the catcher as well, as he may tip off a pitch by changing his foot or glove position for a certain pitch. Although the coach is instrumental in identifying any key elements, it’s imperative the player sees and understands what the coach is explaining, because when stealing home plate, the player, seeing the indicator action, can not hesitate but must immediately react on his own. (2.) A runner has a slight advantage when stealing home plate off a Left Handed Pitcher, because their back is to the runner, which hinders him from possibly picking up the runner through his peripheral vision as he’s in his pitching motion. (3.) Does the pitcher use the Full Wind-up with a man on third? You have analyzed the situation and feel you have a decent chance of success if you attempt to steal home off this pitcher. (1.) He’s long to the plate, 3.5 to 4.0 seconds from beginning his wind-up and the ball reaches the catcher. (2.) He uses his full wind-up with a runner on third, not the stretch. Too Late To Look Now - Just Go !! (I.) Always lead off third base in Foul Territory period. (II.) You must use a Walking lead. That is … the second the pitcher toes the rubber and begins any motion of the wind-up you should be quickly moving down the baseline, using short steps, slide steps or short low hops. This gives you forward momentum from which you can cross step and explode towards the plate. (III.) Should you decide you’ll need at least a one pitch scenario in order to get your timing down, realize you will place yourself in a dangerous position, a long way from third base. (a.) After performing your “stealing home plate” rehearsal, as the catcher receives the ball .. Immediately hurry back to third base. There are 2 trains of thought of how best to accomplish this, one is to turn your head away from the catcher and run to third, the other is to quickly back peddle while watching the catcher. (b.) Doesn’t matter which return method you use … Just hurry because you don’t want to be picked off by the catcher. (c.) Be wary of the third baseman’s actions. He may ignore you because there is no play, he may ignore you lulling you into a false sense of security there is no play, as the ball is zooming to third base. Don’t base your reactions on another player, just do what you know has to be done. (d.) Ironically, by doing a rehearsal you’ll may actually plant the thought, in both the pitcher and catcher’s mind, that you are not contemplating stealing home, rather you just want to get a good lead-off in case the ball gets by the catcher, but will run back to third after the catch. (2.) Without hesitation, the split second the pitcher begins his wind-up motion, you put your head down and bolt for home plate. (3.) At this point … there’s no turning back so focus on home plate, don’t look for the ball or for what the pitcher’s doing, that’s beyond your control. (a.) Should the pitcher stop his wind-up because he sees you stealing, it’s a balk and you’re awarded home plate. (4.) Slide hard and I teach Never Slide Head First ! You must assume the catcher has seen you coming down the line and knows you’re trying to steal. He will instinctively catch the ball as he’s moving forward to block the plate. You do not want to jam your fist and wrist into hard plastic shin guards that are not going to give. You could injure yourself severely. (5.) Should you decide to slide head first anyway … attempt to slide to one side or the other of the catcher or plate, swiping over it with your hand as you slide past the plate. Additional Coaching: This is a MUST for all coaches when teaching stealing home plate. (1.) There must be a Signal calling the play and an Acknowledgement Signal from the batter that he knows the runner will be stealing. 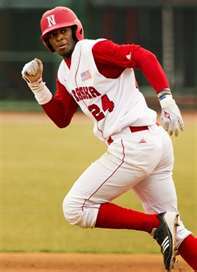 The batter Can Not be swinging the bat, which could become a lethal weapon, not knowing the runner is coming. (2.) Your players must be taught to move out of the batters box and when in order to avoid being called out for obstruction or caught up in the play and injured.